The latest Adobe Flash Player version 20.0.0.267, included in Windows update KB3132372 (29 December, 2015), contains a serious issue that causes problems running iSpring tools and other Flash-based applications. iSpring may not start and some of the functions may not work correctly. UPD: This issue has been fixed by Adobe, and all Flash products are working fine now. The fix was includded in the KB3133431 update for Windows 10 and 8. Keep reading if you want to know the log of the issue. This bug occurs in Windows 10, and may cause the same issue on other versions as well. In effect, iSpring Suite, Presenter, Converter Pro, QuizMaker, Cam, TalkMaster, and Visuals cannot be launched from their icons or the Start menu, since they are partially Flash-based. Plus, it’s currently not possible to insert the following objects into PowerPoint presentations using iSpring: quizzes, YouTube and .flv videos, .swf files, interactions, dialogue simulations, and web objects. Also some Flash components may not work properly, e.g., iSpring player customization (in the Publish window) and Flash presentation preview. 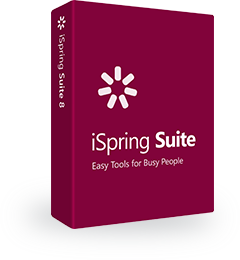 However, you can launch PowerPoint and publish your presentations using the iSpring add-in toolbar. This issue has been reproduced by many users and you can track it in Adobe’s online bug-tracker. It is related to loading of local Flash Movies (e.g. file:///d:/movie/test.swf) from within another application (like iSpring). To vote, please create an Adobe ID or log in. If you have already installed this update, continue reading to learn how to downgrade your Flash Player. Some Adobe Flash Player versions include issues that prevent applications that use Flash technology from functioning properly. If you need to continue work on your project while Adobe is fixing its bugs, the only possible way is to roll back to the previous version of the player. Downgrading your Flash Player is not a trivial task, especially if you have Windows 8 or higher, because it became a part of the system. on your keyboard, type Installed Updates and launch the utility. Type KB3132372 in the search field and click Uninstall. on your keyboard, type in Windows Update and launch the app. Then go to Change Settings on the left. Set Check for updates but let me choose whether to download and install them and then click OK.
Don’t install this update (KB3132372) until the issue (#4101067) is fixed and included in the next Windows update. It may take a few weeks or months for Adobe to fix this issue and submit the new Flash Player version to the Windows updates. Unzip the downloaded package and run the flashplayer19_0r0_226_winax.msi ActiveX installer for Windows. During the installation, select Never check for updates, even though it warns you that it’s not recommended in general. After Adobe fixes the issue #4101067, install the latest version of Flash Player. Open your Internet Explorer and go to http://www.adobe.com/software/flash/about/. Note: It is important to use IE, because if you use Chrome, for example, it might show another Flash version since it uses its own plugin version.